A team of 20 technology experts from around the world recently got together and sketched out their thoughts about how the year 2030 will look. As expected, technology like Artificial Intelligence and Internet of Things played major roles in everyone’s outlooks – but on other subjects, these experts were divided. 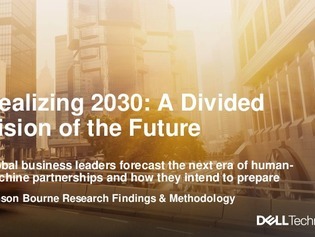 Learn more about their 2030 forecasts inside this report, and find out where exactly these rifts in opinion occurred. Plus, find out how human-machine partnerships are predicted to evolve in the next decade, and what that could mean for the future of business activity.